In responsible, accountable organizations, correct, fair and reasonable processes address inappropriate or criminal behavior. On countless occasions, the international Sathya Sai Organizationis refuses to deal with serious allegations. If they have any self-respect and regard for democratic ways, rank-and-file members of the organization should demand accountability and transparency. They should also be concerned about why so many respected institutions avoid association with their organization, and why political and government leaders refuse invitations to Sai Organization functions. Members need to heed their own feelings of misgiving at the explanations their leaders give to them. Those of us who have stood forth have often been assailed by Sai Baba activists such as Gerald Moreno, of New Mexico, USA, who deride Sai Baba’s accusers for not having succeeded in court actions. However, the difficulties the victims face are formidable. Many of them wish to hide what they regard as their sense of shame. They do not wish to suffer discrimination against them in their personal or professional lives. Many have friends or relatives still closely associated with the Sathya Sai Organization. Sadly, many of them will not reach out for professional counseling, even though offered excellently qualified professional counseling. Posted by robertpriddy on October 11, 2011. 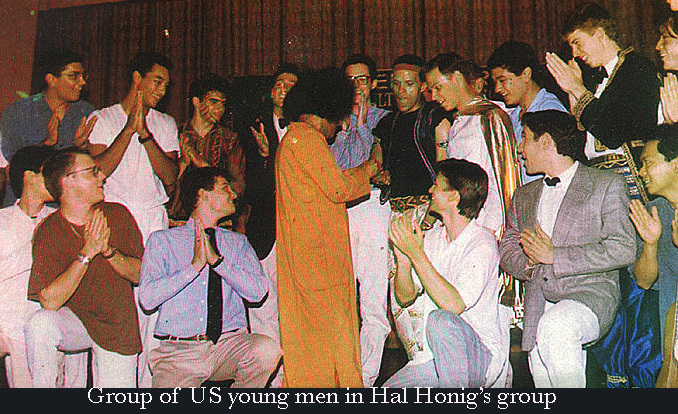 Hal Honig with Sathya Sai Baba. Dare this love breathe its name? in which I include reference to allegations of pedophilia against Honig. A noted former leader, Shirley Pike, a U.S. psychologist highly qualified in dealing with sexual abuse of young people, made allegations at a Sai conference that Honig acted as a sexual pimp for Sathya Sai Baba. The former Swedish leader, Conny Larsson, among others, has made the same allegations, as my above-mentioned article details. Commentators such as Robert Priddy, Brian Steel, Alexandra Nagel, Conny Larsson, and myself in addition to others who have spoken out (and left the Sathya Sai Organization), have expressed a constant theme: the need for extensive, proper and independent investigation of the many allegations. Why should killings in Sathya Sai Baba’s bedroom, and later cover up on a monumental scale, apartments and other scams by those in his front office, and worldwide allegations of sexual abuse (some involving those other than Sathya Sai Baba, such as Hal Honig) escape due processes of the law? Why should Sathya Sai Baba devotees remain members of an organization which, demonstrably, escapes those proper processes which are best placed to adjudicate issues? The BBC spoke of Sathya Sai Baba as ‘The Secret Swami’. 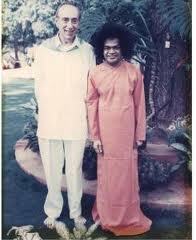 But, though he died in April 2011, his Sathya Sai Organization remains the secret swami’s secret organization. For those interested in looking at a few of the issues involved in such spectacular claims, I shall, in the next few days, further give some comments and links. On his way to becoming his own notion of Avatar of all Avatars, did Sathya Sai Baba truly believe that he had incarnated in the 19th century in the north-west Indian state of Maharashtra? Or was he shrewdly aware of practising a deception? My own guess is that, like others who have extraordinary inner experiences, he may have been in the grip of very powerful aspects of mind – especially the right brain – of which we understand far too little. In certain unusual states of mind, an individual believes that extraordinary, real-seeming experiences are actually God’s voice speaking out of a burning bush to Moses. Actually, Allah speaking to Mohammad. Or actually one’s ‘spirit guides’ speaking from within, and so on. One part of the mind is tricked by other parts of the mind. The intangible seems to solidify. The fictive appears as real. But how can we know what Sai Baba thought about Shirdi Sai Baba? And why he said that he was part of a series of three avatars – Shirdi Sai Baba, Sathya Sai Baba, and, one yet to come, Prema Sai Baba? What we do know, however, is that, of all countries, India is the place where (other than in lunatic asylums of which all our countries have their types) a great many take claims of ‘divine’ realization very seriously. India is the place of instinctive veneration. Including of cricket, film, political and other stars. Visit many Hindu Indian homes, as I have done in my years in that country, and you will find countless instances where historic, human saints and masters, have their place on the household shrine – and depicted elsewhere around the house – alongside deities like Rama, Krishna, Siva, Durga, Kali, Saraswati, Mahalaxmi, and so on. Shirdi Sai Baba is one of the pan Indian saints, like Adi Shankaracharya, Tulsidas, Mira Bai, Ramakrishna, Ramanana Maharshi, Sri Aurobindo, and so many others. Some worship them as aspects, specifically, of ‘avatars’ like Rama, Krishna, Siva, the divine Mother, and so on. Some simply as great lights. Many Hindus regard Lord Buddha as an aspect of Lord Vishnu (Krishna). There is no end to the gradations, subtleties, emphases – and, therefore, sects. More thoughtful Hindus fully appreciate the allegorical nature of these gods and goddesses. They see the stories associated with them such as an educated westerner might understand Homer’s Odyssey and Iliad, or the characters in Dante, Shakespeare or Goethe or Tolkien – representations of primal forces at work in the human psyche. However, we need to consider the reality in the lives of millions of Indians of a heightened state of mythopoeic conditioning. Of mythopoeic imagination. And of associated rituals, festivals, allowances and proscriptions. All of this along with the ubiquitous supports of temple worship, pilgrimage, funeral and marriage ceremonies, yoga, and so forth. All of this from the very cradle. All of this, as it were, in the air, and everywhere. In the home. In the veneration for the cow. In the astrology. In the priestcraft. In vegetarianism. These norms – daily, and not at a church on Sunday or a synagogue on Saturday – are, perhaps, as alive today as they always were. Flick your television remote and radio dial and it is easy to intercept a pundit or priest or yogi wordily discoursing. Religion is part of the diet – like chapatis, sambar, malai kofta, or sweetmeats, etc. ….. Religious figures attract huge crowds – again the incredible wordiness. Again, eager faces looking up for someone great who speaks to someone small. 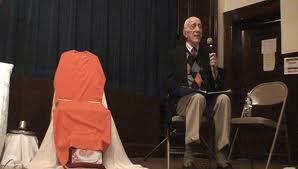 Some religious figures do not even have to speak; they are, simply, to be seen. In whatever the form, somehow, mysteriously, Grace happens, Merit accrues. The varieties of choice are vast. In anquish, many thoughtful Indians despair of India’s immemorial running after supposed gods, demigods and demagogues. Sathya Sai Baba appeared to have godlike powers, such as knowing other minds, foreknowledge of the future, the ability to do miracles, to heal terrible illnesses, to forgive sins, to bless with his touch or sight or word, and so on. These seeming divine powers were magnets to the denizens of, arguably, the most hyper-religious and superstitious country in the world. But, interestingly enough, a short walk even for an educated Hindu Indian – so long as there is some sort of appeal to both intellect and emotion. He created his own mythos, relying on an ancient mythos readily available to him, and to his whole milieu. Sathya Sai Baba was charismatic, but would not have been nearly so had he not appeared to do miracles, see into souls, and answer prayers. In fact, he was wrong about a lot of things. A recent and dramatic example was the timing of his death in April 2011. See: Sathya Sai Baba death date in serious doubt. Many devotees know perfectly well of his prophecy that he would die (or take ‘mahasamadhi’) ca 2022. Their frequent, addled rationalizations are in full view on official and non-official Sai Baba websites. Their procrustean explanations reveal something of the dreadful confusion he left behind. More than ever before, institutions like UNESCO, governments and civic and religious organizations with whom the Sathya Sai Organization attempts to associate itself reject it. The devotees who now try to reform the organization from within really need to confront their secretive leaders and demand to hear from them the circumstances since 2000 in which many respected organizations have rebuffed Sai Baba leader’s overtures. But of course unusual phenomena would, of necessity, occur! How can it fail? For, in the annals of medical science, innumerable are the instances of unpredicted remission in the case of many apparently incurable illnesses. Intense belief taps into mental and physical transformation that science is only beginning to understand. And if rational understanding is absent, traditional belief systems, or cosmologies, arise in the form of explanations. Hindu explanations, Jewish ones, Christian ones, Buddhist ones, Muslim ones, and so on. To these explanations, powerful emotions and dogmas attach themselves. Orthodoxies arise. Dissenting sects arise. We have mainstreams and sects and cults in abundance. Select Barry Pittard poems/lyrics expressive of themes about crimes/sexual and other abuses/ spiritual betrayals by Sathya Sai Baba and his international Sathya Sai Organization.